Several people have told several stories about how the beanie came to be and how it got its name. With so many contradicting accounts, it is hard to say which account is the most factual. Beanies started gaining huge popularity in the United States first with laborers and others who work under harsh weather conditions wearing them to keep their heads warm during cold weathers. These cute head wears have evolved over time into one of the most popular hats for both men, women, and kids. Today, beanies are no longer worn for the warmth they bring only, but for the unique fashion appeal they come with and the way they add a touch of elegance to your casual wears. A lot has been written about beanies, such as their types, features, what to look out for when buying your favorite beanies amongst several other such important details. In this post, we will look into what beanies really are, what makes them beanies and their history and origin (wiki for more). 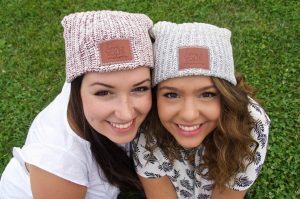 With the ever-rising popularity of these beanies, their use has transcended different cultures, age groups, and countries. So, what exactly is a beanie? How they got the name beanies? 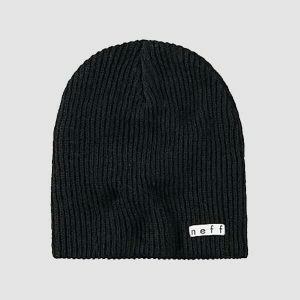 Where to Get the Best Beanies? 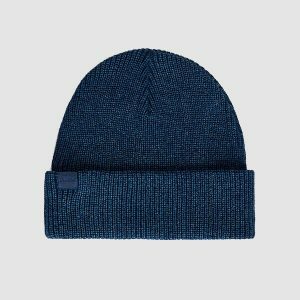 How to Buy the Best Beanies? We will begin by defining a beanie in very clear terms. By way of definition, a beanie is a brimless cap known for its head-hugging nature. These caps can come with a visor or without a visor. These beanies are simply triangular panes of fabric joined together by a button or badge at the circlet joined together around its sides. Most beanies are made from felt or cloth materials. Some beanies are also made from silk or leather materials. In some parts of Canada and the United States, the term beanie is used to describe knitted caps, mostly woolen, which are also referred to as toque or stocking cap. In Malaysia, beanies are commonly referred to as serkup. And other words for beanies (beanie synonym) are wool hats, winter caps, sock hats, snow hats etc..
Toque hats, one of the many names by which beanies are referenced, have intriguing origins dating back over a hundred years. Originating in Europe, popularly believed to be out of France, these beanies referred to what is now the classic image of the chef’s hat. Though the large air pocket at the crown of the head has reduced in size to become more accommodating of everyday life, these hats owe their current popularity to eighteenth-century French kitchens. Modern references to the toque tend towards winter-wear hats. In northern regions these references the insulated, stretchy beanie that provides protection from cold climates. The wide variety of these hats, and their ability to adapt to multi-national purposes has kept them trendy over time. From sleep caps to chef’s hats, beanies simply refer to the soft material coverage of the crown part of the head. In use for as long as the fabric has been around, beanies have adapted to modern use by branching into countless styles and fashions. During the first half of the 20th century, one very popular style of beanie was in the form of a skullcap, which was made of 4-6 felt panels joined together to form the hat. The panels usually comprised of at least 2 different colors for that distinctive novel look that makes them unique. 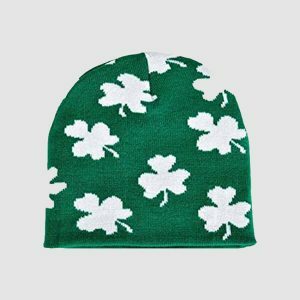 This beanie was very popular among some fraternities and colleges, these colleges and fraternities often made use of a variety of school colors in the different panels that made up the cap. 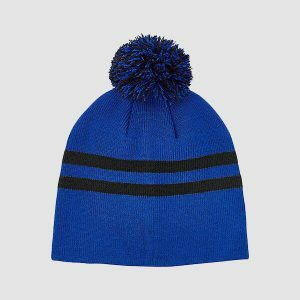 The whoopee cap is one other popular style of the beanie hat. This is a pressed wool hat, that comes with a brim flipped up to form a band at the bottom of the hat. The band comes with a scalloped outline or an ornamental repeating zig-zag cut around the edge. In the early days, schoolboys who wore beanie hats adorned their beanies with pins and buttons. Cuffed beanies, a current and trendy cold weather choice, these beanies are distinct in the thick rim that allows adjustment as well as firm fitting wear. Balaclava, a very warm beanie with almost full coverage, these beanies show only the eyes with fabric covering the neck, head, and face. Winter toque are often made of wool or acrylic and generally stretchy, these options span a wide variety of style choices. Earflap beanie is best in extreme weather with high wind, these choices prevent air from entering the ear canal for improved winter health. Thick woolen caps are a much-loved option with a wide range of woolen sources. Many types of wool are popular, though merino wool beanies are the current trend. 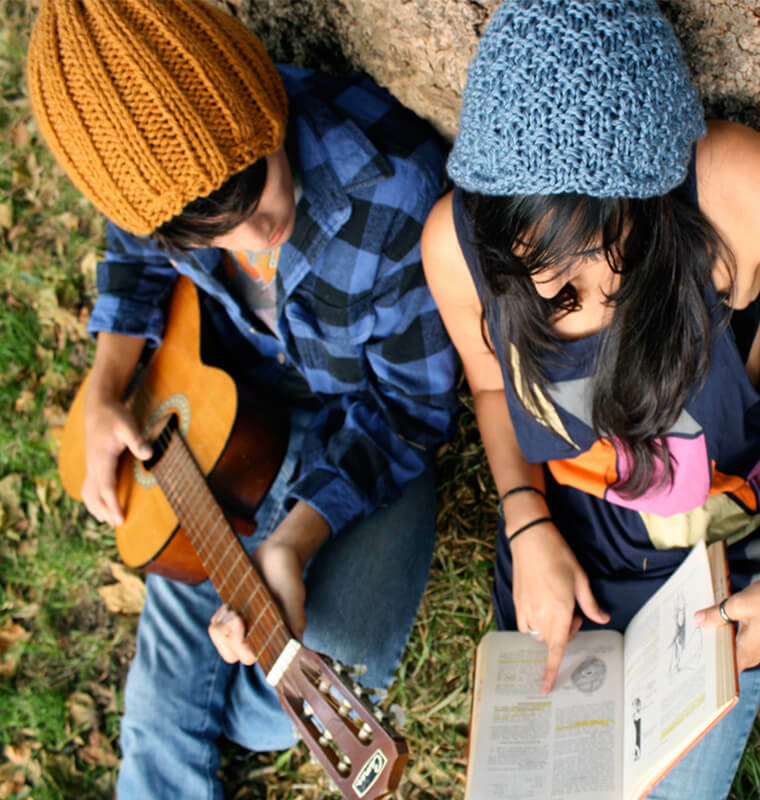 Hipster beanies trend in lockstep with the growing hipster culture that promotes an ethical and relaxed lifestyle. Propeller beanies are a satirical option that started a decade’s long adoration of costume beanies, a long-favored ironic clothing option, and gag gift. Visor beanies are a sporty hybrid of the cap and traditional cloth beanie that are useful in brightly lit, outdoor situations. 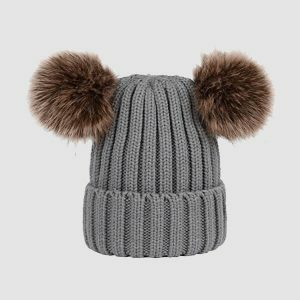 Pom-pom beanies have stayed in style, with removable poms becoming the new favorite method of accessorizing winter focussed beanie hats. Bluetooth beanies are popular, the high-tech choice for those who are constantly on the go. 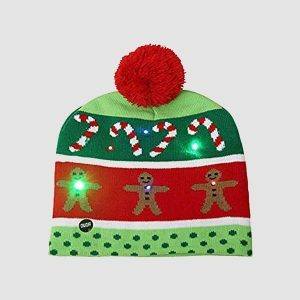 Safety conscious consumers have made popular flashlight beanies that have broad applications in day to day life. 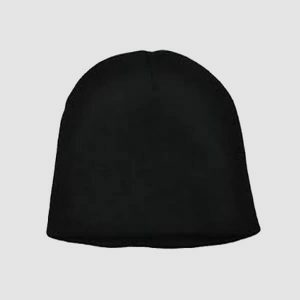 These, in addition to the countless permutations of fabric, features like tassels and bows, as well as different patterns and colors, allow there to be a beanie hat to fit even the most unique of situations. You may be wondering why are beanies called beanies? Beanies come with a cloth-covered button on their crown which is often about the size of a normal bean seed. Most people believe this was where the name beanie originated from. However, some academics are of the belief that the term beanie comes from some categories of headgears worn by students in most medieval universities. The Oxford dictionary, however, believes the origin of the term, “beanie” is not certain, but could probably have come from the term, “bean”, which means head. In the United Kingdom, knitted styles of headwears were called “Benny Hats”, a name derived from the role “Benny” played by popular actor, Paul Henry in the British soap opera, Crossroads. This character, “Benny” was popular between the 70s and the 80s and often wore a knitted model of the hat. This shows the origin of the term beanie for these style of hats is not really known as there are several claims to what the real origin might have been. The beanie, which is a popular type of the skullcap has always been popular among blue-collar laborers as working apparel. 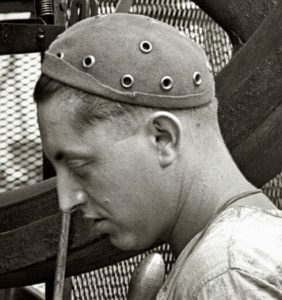 Workers who often used this type of working cap include mechanics, welders, and some other tradesmen who wanted to ensure they maintained the blackness of their hair but felt a brim would have been an obstruction. Most beanies often come with a very small brim, somewhere around the front of the brow. This type of beanie was where the baseball caps evolved from, with a visor to keep away the hot sun. Somewhere around the middle of the 40s, cotton visored caps became more popular than the beanies. 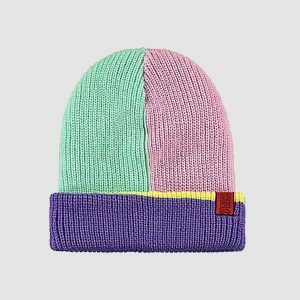 However, around the 50s, and beyond, college freshmen and some fresh fraternity initiates began to wear these beanies as some kind of mild hazing. For instance, Lehigh University mandated freshmen to put of these beanies. Several other colleges like Gettysburg, Franklin & Marshall, Westminster College, and Rutgers and some others were believed to have had similar practices. The Benedictine College in Kansas has upheld this tradition up to today, while the Wilson College has continued this tradition as a part of their Even/Odd class year competition. Today, the beanie hat comes in different styles for both men and women, colors, designs and sizes to meet your need for a head warmer and fashion preferences. 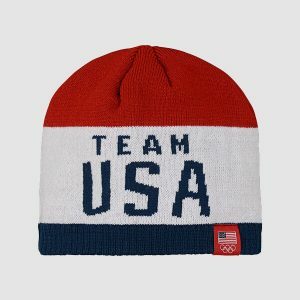 Anyone can now wear these beanies irrespective of where they live, what they do, and what time of the year it is. However, these beanies are still known to be of the most reliable winter hats to keep you warm on the coldest days all through the year. So, whether you need a beanie to keep you covered and warm or one that can complement your dressing, there is always a beanie for you if you know where to shop. 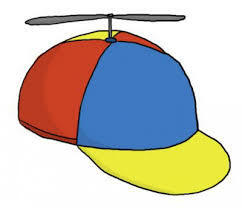 Used everywhere from satire to Inspector Gadget costumes, the propeller beanie gained popularity in the 1940’s. Originally, this was used as a self-deprecating reference to science fiction fans. Perhaps the earliest onset of the comic uses of the beanie, this was a turning point in ironic fashion. Now, the propeller beanie can see its spirit in everything from the bearded beanie, to more specific costume humor. Funny beanie hats have long been used as a way of asserting personality traits and highlighting the unique features of the wearers themselves. Through the use of amusement, this functional garment can make both a fashion and a political statement. This popular accessory has several different modes of manufacturing. Learning how to make your own beanie is a useful skill for personal use and gift-giving. Though there are a number of different ways to craft a beanie, the main breakdown is woven verses panel forms. This method of beanie manufacturing is to take anywhere from four to six pieces of fabric (often triangular in shape) and stitch them together to form around a pattern. Often there will be an elastic band stitched into the lining to provide a firm fit. Another design is to crochet the beanie, generally an option more geared towards handmade models. Wool is the most common material in crocheted beanies, though these can be made of both natural and artificial fibers. These can be further broken down into handmade and mass-manufactured items. These options are ideal for those looking to support micro-economies, or those seeking something very specific. While these are solid options that generally have a high quality, they can be less cost-effective, and generally, have an added factor of time for supply to meet demand. Handmade items give a way to support small business and increase the personalization of the beanie itself. Most beanies are made in factories, and these options include both natural and artificial fabrics. Generally, these are lower in cost due to sufficient supply and lower overheads for manufacturing. Unless specified, most beanie hats are factory-made. A good measure to take when getting any piece of clothing is to wash and dry thoroughly before the first use. Bright colors and distinctive patterns set people apart from the crowd. These, coupled with different features like bows and pom-poms, are a way to assert personality without ever saying a word. A stylistic throwback to the jazzy style of the 1940s in the form of a Gatsby beanie highlights nostalgia. The slouchy beanie shows without a word the relaxed virtue of the wearer. From soft, feminine designs, to distinctive hunting and hiking styles, beanies are a great way to declare who you are to the world. Obviously, the success of the beanie was not just its beauty. The ability to regulate our temperature in the midst of extreme weather conditions is a precursor to humanity’s survival. An easy solution to cold, heat, and wind, the beanie stays in use mainly because of its usefulness. With the plethora of options, it is not challenging to personalize beanies by color, style, or pattern. In so doing, hat mix-ups can be avoided. The distinction of hats works to prevent the spread of lice, and easy to maintain designs work to keep pests away in general. While it is a survival necessity, indoor living has made hat wearing optional in most parts of the world. The popularity remains due to the clear health benefits of keeping temperatures stable. Sudden changes to body heat cause the quick shifting of blood throughout the body. To assist in preventing everything from vertigo to the common colds, beanies are a handy all-season accessory. 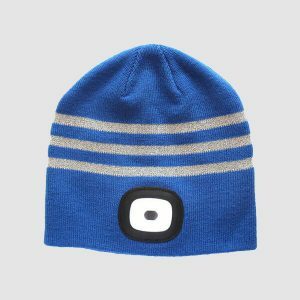 A replacement to the tedium of headphone cords, many popular beanies come with built-in Bluetooth options. This option provides the added safety of having both hands free to react in any situation, in addition to the convenience of easy music and communication. Many popular options used for outdoor activities include a built-in flashlight, for the added safety and convenience of hands-free illumination. This option is a clear benefit during camping, as well as to keep in vehicles for emergency tire changes. The detriments of having wet hair in cold weather are well known. Woolen materials commonly used in beanies offer a natural resistance to wet conditions, making them great all-weather solutions. As with most modern products, the beanie has hybridized to maximize its utility. The added features improve safety and health, without foregoing the stylish aesthetic expected of cool beanie hats. Over the course of history, textile science has shifted massively, increasing the types of fabric drastically. Considering the fact that beanie fabric is next to facial skin (some of the most sensitive skin on the body), factoring in the material of the hat is an essential step in healthy and comfortable wear. Textile science has grown drastically over the last century, with increasing demand specifications sparking innovative new methods of fabric generation. The easiest way to break down fabric specifics is to first separate the artificial from the natural. While each fabric has its own merits, the needs of the individual vary based on skin type, hair needs, allergies, and general environmental sensitivities. Check out our article “Specifics of the fabrics used to make beanies” to learn more about beanie materials. 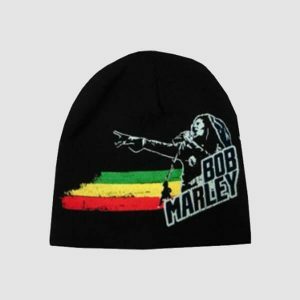 Before finding and buying the best beanie, make sure you look out for beanies made with the very best fabrics and materials to keep you comfortable even while you stay warm. Some beanies can make you feel itchy after wearing them for a long time, this is one thing you can avoid by ensuring you buy beanies made with soft fabrics like silk, wool, acrylic, or cotton to enjoy comfort, feel cozy and beautiful all through the winter season. Ideal shopping spots are places that do thorough research. Assimilated information based on your specific needs helps to ensure that no factor is missed. Learning about product details is a great way to ensure a satisfactory experience. Digital commerce has its own set of benefits and troubles. Lack of accountability and reliability of online stores can be daunting. To mitigate these risks when online shopping, finding centralized locations, like blogs and affiliate sites, specific to the product you seek to purchase can help. Since the number of options can be overwhelming and research time consuming, supplementing information through these resources can be very helpful. 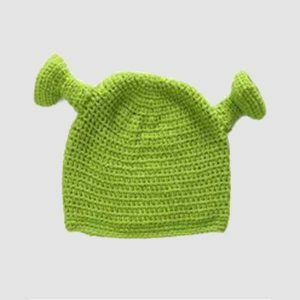 Of course, there is a retail option for purchasing beanies. Benefits of shopping in-store are first-hand knowledge of the fit, as well as no shipping time. Drawbacks include the limited selection and generally higher cost. Knowing how to buy the best beanies is the safest way to prevent buyer’s remorse. Following these simple steps, you can stay stylish and well-informed. Finding your beanie style is the first step in locating the perfect hat. Desired styles vary based on fashion preference, personality, and face type. Identifying any fabric restrictions as a result of ethical concerns or allergies is the necessary next step. Generally, each person will have the desired fabric to suit their local weather and individual needs. Using this handy hat size guide, the best-fitting beanie can be found. When the hat fits properly, comfort is optimized, as is the product’s shelf-life. Beanie blogs and sites that specifically cater to hat shopping are the best sources for online information. When pursuing hat shopping, checking with a reliable site can keep the shopper aware by highlight information not otherwise seen. Products sold through online stores generally have feedback from those who have already made the purchase. Generally, online blogs and reviews will focus on items with positive reviews. If there is a specific concern in mind, it helps to look at individual reviews with a keyword search. While beanies themselves are a year-round accessory, styles and materials vary in usefulness based on the season and weather. To ensure product satisfaction, always check shipping time to make sure that when the beanie is received, it is still seasonally viable. As with all products, there are a variety of nuances and details that make for the perfect beanie hat. Once received, the perfect beanie can remain an active part of the wardrobe for years. It is well worth the time to find the right fit, do product research, and source products from a reliable site. Finding the right beanie is a process of learning your personality. The rich history of styles, materials, and patterns paints the picture of the development of the modern world. Buying a beanie is a breeze when these steps are followed. Learning about a product allows the more nuanced decisions and item specifics to be seen with a discerning eye. 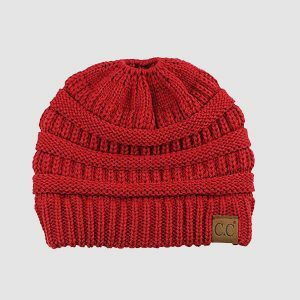 These details make shopping for a beanie a fun way to assert personality, stay warm and comfortable, and even maximize enjoyment of daily activities.